Strings are absolutely critical to your sound when it comes to acoustic guitars, arguably playing as important a role as your guitar's tonewood or your playing style - but with so many available, how do you choose the right ones? 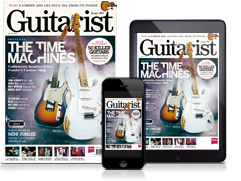 Which are the best electric guitar strings? In recent years, coated strings have come on in leaps and bounds, in terms of tone and feel. As a result, they're an increasingly popular choice among acoustic players, prolonging tone life and often offering enhanced high frequencies. As you'd expect, many of the string sets in this article feature this technology, but more traditional options are included, too. Each set of strings is available in a variety of gauges, which will also have an impact on your tone and technique - so get restringing and experimenting! As ever, we're here to point you in the right direction, and help you find the best set of acoustic guitar strings for you. 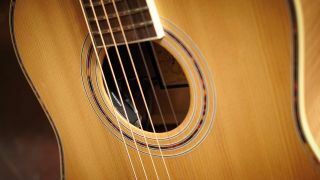 Martin offers a wide range of acoustic guitar strings, and these Lifespans are its coated option. Enhanced with Cleartone technology, they have ultra-pure steel SP core wire and are available in 80/20 and phosphor bronze sets. 12-string and acoustic baritone players are also catered for. Elixir is the first name in coated guitar strings, and this coated phosphor bronze light/medium hybrid (0.013-0.053) set was developed with Taylor for use on its Grand Concert models. It's designed to provide a warmer bottom-end and bolder top-end with some mid projection boost in between. The ‘cryogenic processing’ with liquid nitrogen that Dean Markley use for the Blue Steel range may sound a little like something from a sci-fi movie, but by freezing strings to -320 degrees Fahrenheit and then gradually bringing the temperature up, greater frequency response and tuning stability is claimed. We highly recommend sampling a range of coated strings from various brands in order to narrow down your preferences. The New York company’s EXP range should be on your list. D’Addario claims that its coating offers more of the natural feel you get with uncoated strings, while still having the life-extending benefits of the coated types. The 80/20 bronze Earthwood range offers this Extra Soft Silk And Steel iteration, which adds a layer of silk between the wrap and steel core to make playing easier on your fingers. It promises a mellower sound with reduced finger noise that could prove useful for recording sessions. The British company’s Low Tension series strings are designed to produce virtually equal tension on each string. The round-core phosphor bronze strings could be good for vintage acoustics that you don’t want to put too heavy a load on, and players suffering from arthritis and tendonitis. A back-to-the-future move from Martin saw these strings launched back in 2014; think of these as a vintage string. Returning to the old nickel-based alloy blend of monel results in a softer touch and warm tone, to bring out the inherent tone in your acoustic’s wood. There’s also a claimed longer life than some other phosphor or 80/20 options. La Bella coats its strings in a different way to others; changing the actual surface of the string during the Ionic Vapor Process where “propriety compounds are activated in a glow discharge electromagnetic plasma to modify the surface”. The result is a string the company says lasts five times no longer than non-treated strings and sound brighter than the coated competition.